Do you want to put down your furniture without much hassle and enjoy a characteristic house in the historic Lombok district in Arnhem Noord? 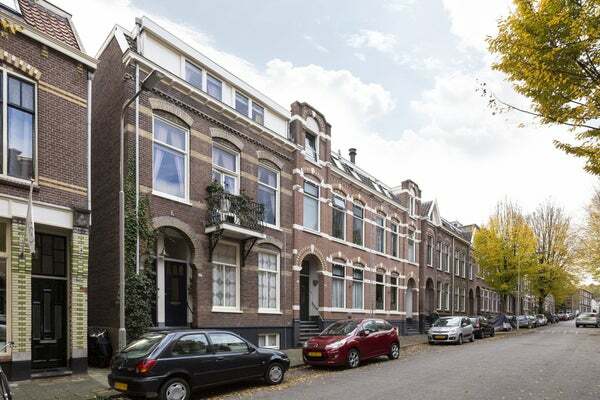 We offer you a beautiful apartment of 124 m2 from the middle of July 2019 in the Alexanderstraat in Arnhem. The Lombok district is strategically located in relation to Arnhem center, Central Station and the A12 and A50 national highways. Many facilities are present in this neighborhood. The cozy center of Oosterbeek, the nature park "Mariendal" and various primary schools are within walking and cycling distance. The house has a sunny outdoor area with an unobstructed view. Built in 1900. Ground floor, hall with , stairs down with basement, (storage room) and stairs up to first floor. Spacious landing, separate toilet, modern fitted kitchen with Boretti gas stove. The attractive spacious living room has a luxury gas fireplace. At the rear of the house is the access to the veranda on the sunny south. Spacious landing and luxury bathroom with 3 full bedrooms on this floor.